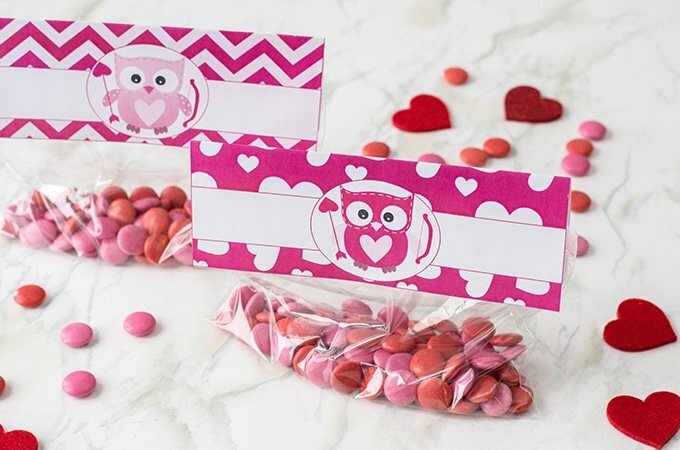 Valentine’s Day Treat Bag Toppers Free Printable is perfect for jazzing up simple treat bags for the special people in your life! 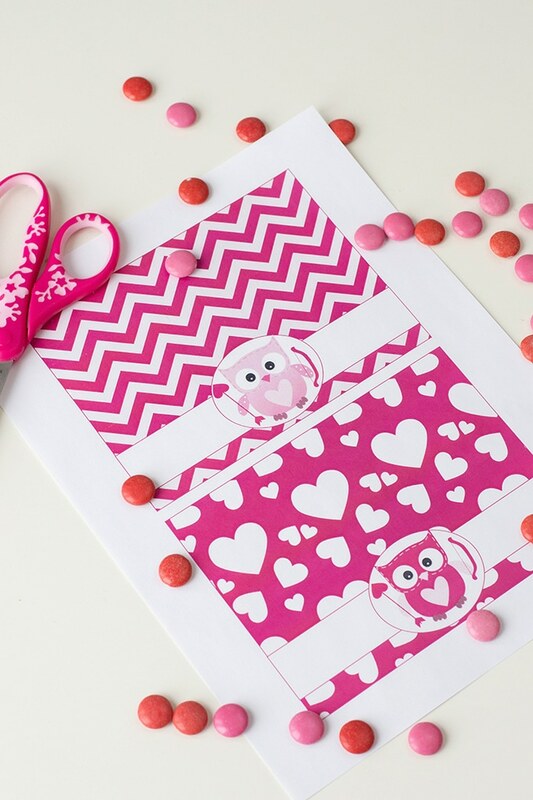 It’s easy to use for Valentine’s Day as well as year-round and it’s free to download! 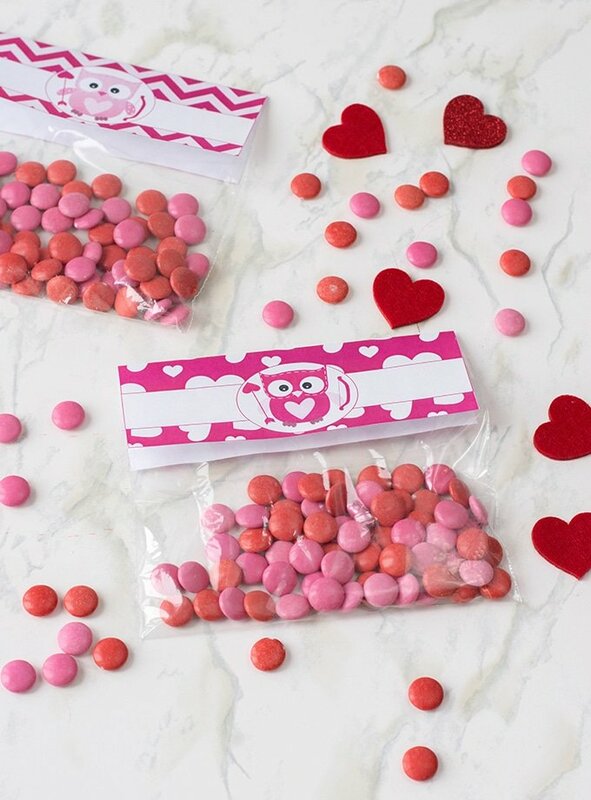 We’re a couple of days away from Valentine’s Day and if you’re looking for last minute gift ideas, this treat bag toppers printable is a fun way to say I love you. It comes in two adorable owl designs and perfectly fits 6.5 resealable bags for easy treat giving. I am totally obsessed with these toppers! I’ve been using them for the bagged sweet treats I’ve been giving out to friends and co-workers this whole week. They’re so easy to put together and perfect year-round for making our special someone feel extra loved. Download the treat bag toppers printable here and print on quality card stock paper for best results. Using scissors, cut out the out the two designs. 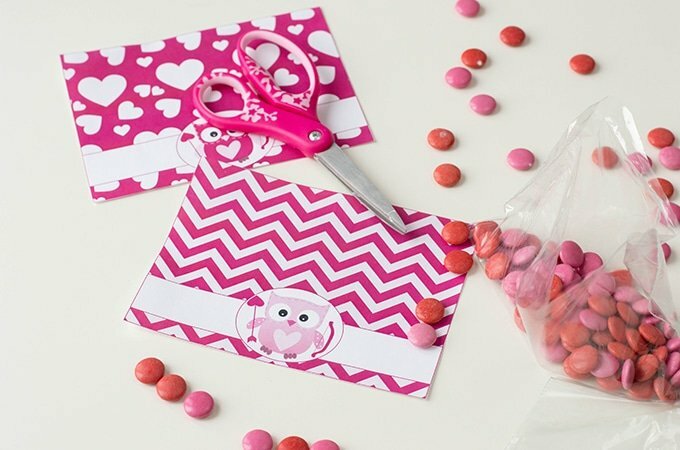 Fill resealable bags with your choice of treats such as Kisses, chocolates, conversation heart candies or cookies and staple or glue the treat bag toppers on the bag. Sending hubby off to work with a brown bag lunch? Top his sandwich bag with one of these two designs and make him the envy of the breakroom!